The study referenced above was clear about one thing: most webmasters are slacking in the speed department. The median website loading speed hovered around five seconds, which means that half of all surveyed domains had page load times greater than that length. Many people may not understand why they should care about having a faster site. One major reason is that every second of loading time is an opportunity for a first-time visitor to back out and go elsewhere – a bad impression for you, no doubt. 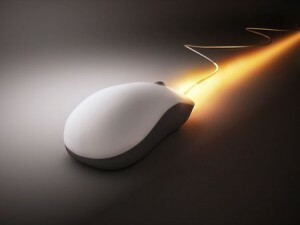 The second reason is that faster pages perform better in search results and earn more revenue. You definitely want to be pinging search engines with pages that respond quickly. Based on what we mentioned above, it should come as no surprise that page speed has a profound impact on how much money a given site will earn. In fact, a page that takes two seconds to load will only earn one-third on average of what a page that takes one second to load will earn. If you have a particularly slow website (one that takes more than five seconds to load), then you can also expect page values and SEO rankings to improve by quite a bit as well. Jumping from ten seconds to five seconds can yield you anywhere from twenty to thirty percent more page value. You can get bogged down in tweaking the dynamics of every web page on your website, but it isn’t really necessary in all cases. It is OK to have some slow web pages, but the pages with the most traffic, information or likelihood to be viewed should be optimized for faster loading times. If you are running an e-commerce store, for instance, then you’ll want to be sure that your cart and checkout pages load quickly (to maximize sales). If you provide an informational service, then your pages that host the categories or directory should be optimized. By doing this, you’ll ensure that your prime pages are optimized for success and are pinging search engines with positive indicators. By optimizing a select number of pages that are most important, you’ll be able to increase the revenue of your website, boost traffic and do better in search results. With so many webmasters not trying in this regard, even just modest efforts can have a huge impact on how search engines (and people) view your endeavour.